In February 2004, ARTsLINK, an art advisory council to the City of Rio Rancho, was created with the purpose of finding ways to give the City of Rio Rancho an identity through the arts (Visual Arts, Performing Arts, Public Arts). 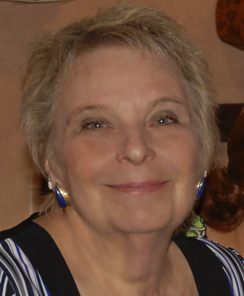 Delma M. Petrullo was on the original ARTsLINK advisory council. The Rio Rancho Art Association (RRAA) grew out of one of these components and was officially established in October 2004. Delma was not only founder of RRAA, but she also became a city councilor for District 3 in Rio Rancho. Delma passed away after loosing her battle with esophageal cancer on June 3rd, 2009 at the age of 60. Without Delma’s vision, there would not be a professional art organization in Rio Rancho. RRAA is a not-for-profit organization governed by a Board of Directors elected annually. Select Chairs and Committees appointed by the Board handle different aspects of the Association's activities. Members are encouraged to volunteer in any manner possible to assure the continuance and growth of the organization.